Finally, a heatwave!!! We spent glorious weekend in the sunshine in our newly renovated grassy garden (SUCH a wonderful novelty after years of just having a gravel yard). 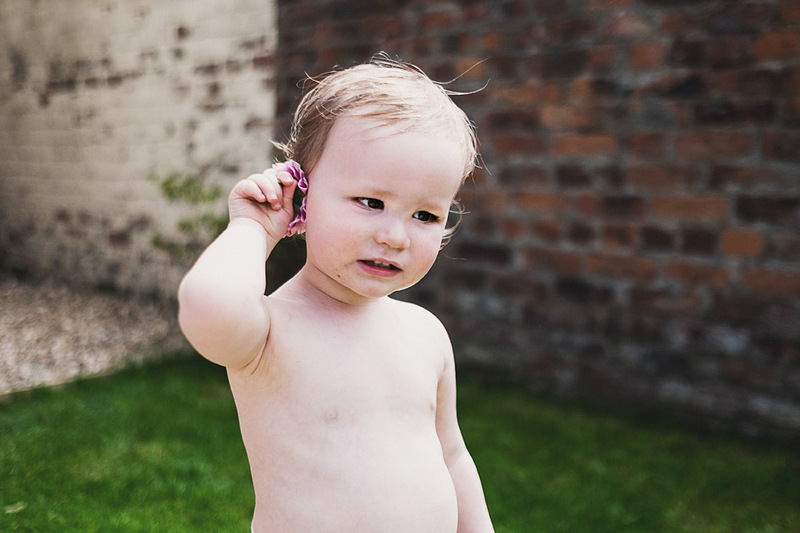 The head of one of my dahlias fell off and after seeing me put it behind my ear, Huey then spent 10 minutes trying to squash it behind his. 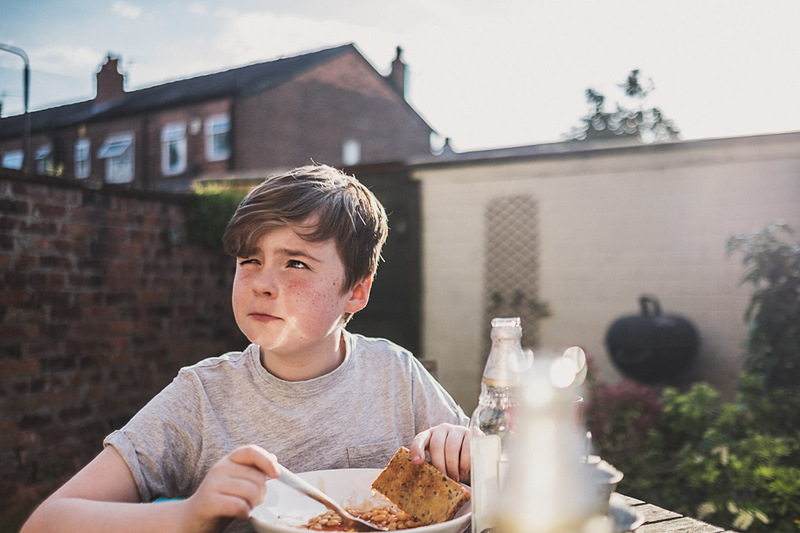 Joe enjoying a very seasonal dish of beans on toast in the garden, looking extremely unimpressed at one of Adam’s terrible ‘dad’ jokes. This is his, “Really?” face. To be fair, I was with Joe on this one.